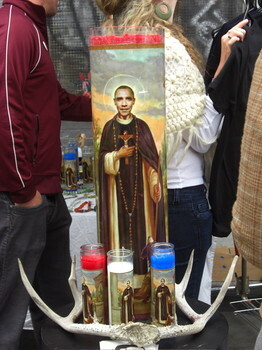 An interesting controversy has been fomented in San Francisco since the Novelty Shop decided to sell a prayer candle with President Obama’s picture over the body of one of the most popular and venerated Peruvian religious icons in the Roman Catholic tradition, Saint Martin de Porres, who is considered the first black saint in the Americas. According to The San Francisco Chronicle, the Rev. Tony La Torre of St. Philip the Apostle Church has objected to this novelty shop because he considers it a ridicule of the Catholic/Christian faith. Store owners Robert Ramsey and David Eiland say they’ve sold more than 700 candles since putting them on display over the Christmas holidays. 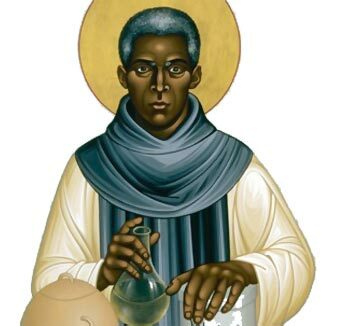 – Saint Martin de Porres is the religious icon that expresses the sentiments and dreams of excluded and marginal people. – His religious authority is legitimated beyond institutionalized religion. He is the kind of popular saint that people can venerate and relate to without requiring any other mediation. – The Brotherhhod of Saint “Martin de Porres” is one of the two most popular Peruvian catholic fraternities in the United States, which means that it provides an experiential, mediating space in which Peruvian Catholic immigrants negotiate and reconstruct their identity in the context of the diaspora. Entry filed under: Medios y religión.